The pop culture phenomenon that captured the hearts of 40 million players worldwide is back! Guitar Hero Live introduces a newly redesigned guitar controller, two new ways to play, and hundreds of additional songs. 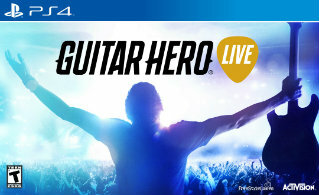 After years of research and development by Activision and FreeStyleGames, come find out if Guitar Hero Live will take over your living room once again in my latest review at Best Buy Canada's Plug-in Blog.